Rapid advancements in technology and connectivity mean that today’s consumers can get what they want, when they want, where they want it. Since the age of manufacturing in the early 1900’s, consumers have had a passive relationship with brands. Companies would manufacture products and distribute them to brick and mortar stores, where customers would have very limited choice in what and where they could buy. The power was in the brand’s hands. That all started to change though, with the birth of the Internet and consumer’s ability to access products from all corners of the globe, comparing prices and product information at the click of a mouse. The power scale became balanced, and then we entered the age of mobile. Today, that balance leans in the favour of the consumer. Smart phones allow us to access product information, customer reviews, and advice from friends and family, anywhere from the dining room table to the retail environment. This along with the abundance of choice available means the customer is now empowered. 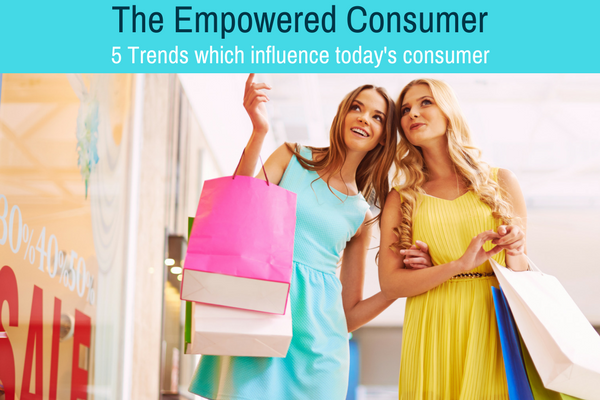 How can brands adapt to the empowered consumer? This new-found control is great for consumers, but it also offers great opportunities for businesses. These technological developments have broken down many barriers, giving brands the opportunity to get closer to their customers and gain an improved understanding of their behaviours. Brands can now connect with consumers on the platforms of their choice. The tech space is complex and ever-changing, but the likes of social media allows brands to gain huge exposure and connect with customers in real-time. This brings opportunity for growth that would previously be unavailable without huge marketing investments through mediums such as TV. Social media also provides a platform for fan communities to share opinions and stories. This two-way relationship between brands and consumers offers invaluable consumer intelligence. In the days of print and TV advertising, marketers weren’t able to track key metrics and quantify the performance of different marketing activities. If 50% of your marketing budget was falling flat, it was impossible to tell which half. But with the connected consumer comes huge amounts of data. This data gives brands a huge analytical advantage, as they can now measure key metrics and follow the consumer journey closely. As a result, marketers now have a better understanding of customer behaviour, and can use data to drive new messages. Brands can create and adjust these messages to offer personalised experiences – ensuring the right message reaches the right customer, in the right place at the right time. This can strengthen a brand’s relationship with customers and potential consumers. While the rise of the Internet trained everyone to be deal seekers, the mobile age has also lead to the emergence of convenience seekers. Features such as ‘collect in store’ are driving consumers back to local stores to get the instant gratification that delivery services have so far failed to provide. Department store John Lewis have acknowledged the emergence of what they call a ‘master shopper’. These consumers are a new breed of supremely savvy shopper, who use stores as social destinations as much as places to make transactions. They know how to find the right product at the right price, as well as how, when and where they want it. 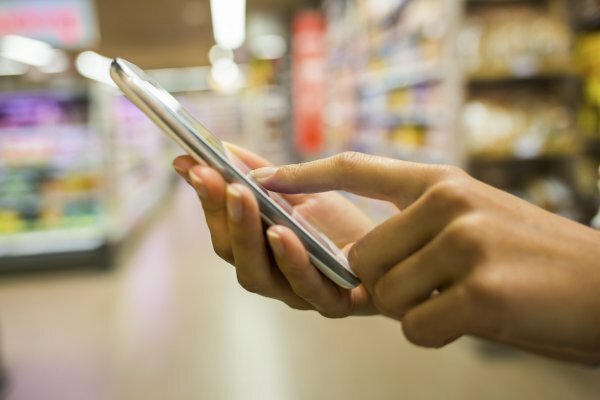 Increased connectivity in the mobile age has clearly empowered consumers. Brands that embrace this change can engage with and understand their customers on new levels, and tailor the customer experience to match.